1) Damage due to collision, theft, vandalism; you will be reimbursed the maximum benefit shown in the benefits schedule. In the advent that you incur damage and need to make a claim, rest assured that your deductible will not cost you a dime. Provided all drivers are 21 years or older, possess a valid driver’s license and very importantly are added to the rental agreement upon vehicle pickup, then all drivers will be covered. Your RoamRight Auto Rental Insurance Plus policy is the contract that specifically and fully describes your coverages. Certain restrictions and exclusions apply and coverages may vary in certain states. Please refer to your policy for detailed terms and conditions. Coverage is not available for residents of Washington State. Why Should You Get Car Rental Damage Insurance? Over the counter rental car insurance can vary between $20 to $40 a day. Bonzah.com offers better rental car damage insurance coverage at a fraction of the cost. You may think that you are covered. Think Again! Many people confuse rental re-imbursement coverage with rental car damage insurance. For example, rental re-imbursement covers the auto insurance policy holder for rental car charges, for up to 30 days, while their damaged vehicle is in the workshop being fixed. Your credit card will cover the rental car? Those coverages are often secondary and may not cover everything, hence the devil is in detail. If you must make a claim, your current auto insurance provider may increase your premiums as a result. However, given the rental car damage insurance provided on Bonzah.com is primary coverage, it will act as your alternative to claiming on your regular auto insurance, which has the potential to lead to rate increases. Traditional auto insurance policies kick in after deductible is met. With RoamRight Auto Rental Insurance Plus, there is no deductible. Perhaps your current policy does not have comprehensive and collision damage. The last thing you need to do is to worry about mishaps when you are traveling. You could save in excess of $100 on a 5 day rental. You won't have to worry about the high pressure sales tactics when you collect the rental car. Just say "no thanks, I have my own insurance". Over the last five years the team behind Bonzah.com have sold car rental damage insurance in several markets including the USA, providing travelers with an affordable and convenient protection alternative to the rental giant’s rental car damage insurance rates. Bonzah.com is a trading name of Pablow, Inc. which is licensed to solicit travel insurance in all 50 states and Washington D.C.
RoamRight Auto Rental Insurance Plus is the car rental damage insurance policy offered on Bonzah.com and is underwritten by Arch Insurance Company, which A.M. Best Company has assigned a financial strength rating of “A+” (Superior) and the largest financial category size of “XV”. For the latest financial ratings, please visit www.ambest.com. Arch Insurance Company ( NAIC # 11150) is a licensed insurance company in all 50 states and the District of Columbia, with physical offices in Jersey City New Jersey. Whenever the Bonzah CEO’s travel plans included a rental car, the thought of having to pay rental companies up to $40 a day for insurance, he found unreasonable and in 2010 he decided to do something about it and since the company has sold many thousands of policies to like-minded travelers while quickening the rental process with the insurance purchased prior to picking up of the rental car. 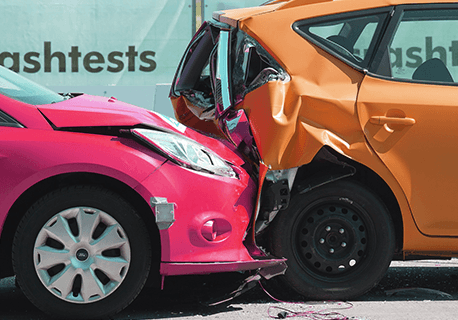 From just $7.99 you can buy collision damage coverage up to $35,000 with zero deductible. We are happy to announce that our mobile app has been released for iOS devices. For a better user experience and faster checkout, we recommend the Bonzah app. 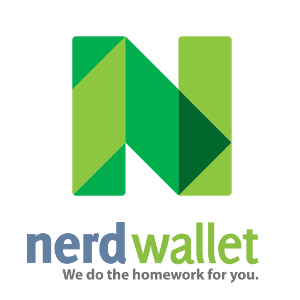 We did not forget about our Android users; an Android app is coming soon! Please note that this notification will not be shown again. If you don't know how to enable your browser's cookie settings, you can follow the directions here. After enabling this functionality you have to reload this page. Copyright © 2019 - Pablow, Inc. 321 Walnut St, Suite 130, Des Moines IA 50309. All rights reserved.